NEW Money clip on the rear! Usually I wear a chain biker wallet. But needed something I could use when wearing joggers or sweatpants. This is perfect! I carry it everywhere and it gets the job done. The quality is unreal for the price. Functionality it top shelf and the Washington HQ flag is bad ***! The quality and workmanship is top notch. Savoy Leather makes the best holsters and wallets on the market, hands down! This wallet will last a lifetime. My only complaint would be that the money clip isn’t covered on the inside and it scratches cards. Got my Washington HQ the other day and I LOVE IT!! It’s my everyday carrier from now on and like everything #1776United puts out, its #simplythebest. Y’all are awesome! This wallet has quickly replaced my earlier card holder and wallet. High quality leather, really nice design, great texture. 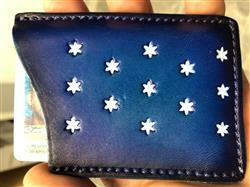 Holds just the right number of ids, medical and credit cards and has a nice tight money clip. 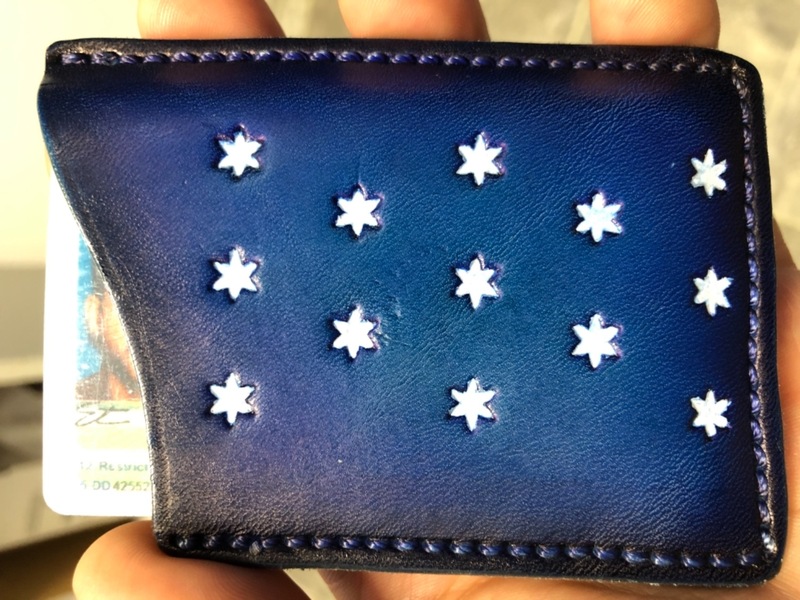 If there was one thing that could be made better is that where the money clip attaches internally to the leather wallet it's rough which sometimes makes sticking a card back in on that side more difficult.